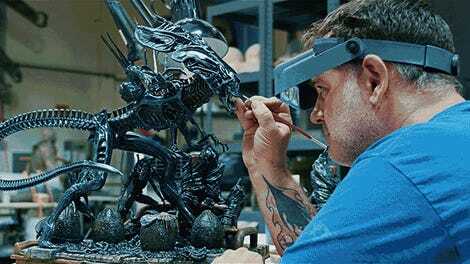 Pop culture meets kitsch in this new series. The elderly can be a lucrative demographic to target, at least until your customers die and stop buying your products. So in an attempt to get a new generation hooked on collecting its doe-eyed sculptures, Precious Moments is expanding with a series of pop culture-inspired pieces featuring memorable film characters from your childhood. 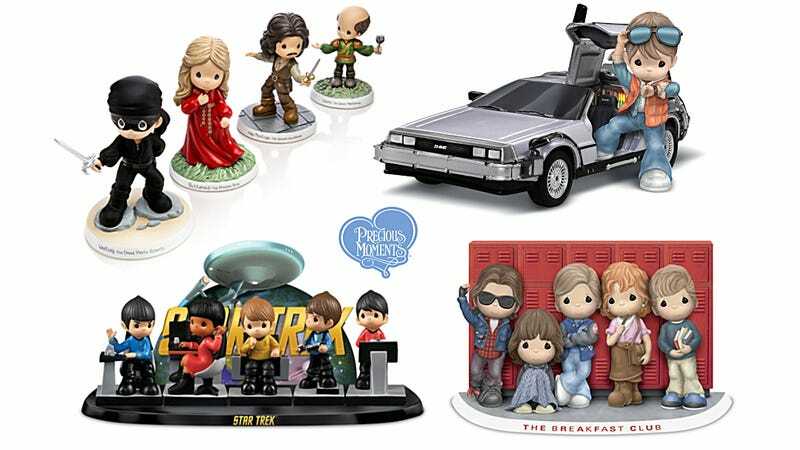 Instead of toddlers tussling with puppies, and tiny newlyweds who are clearly far too young to be married, you’ll need to make room in your curio cabinet for hand-painted resin versions of Back to the Future’s Marty McFly (with DeLorean), as well as characters from Star Trek, The Breakfast Club, and The Princess Bride. Despite there being no articulation, no sound effects, and no light-up features, these figurines still cost a small fortune to add to your collection. The bridge crew from the original Star Trek series sells for just shy of $200, and Marty and his time-traveling DeLorean is $100, thanks in part to limited runs of these sculptures and the potential for them to become eBay gold one day. They might not be the smartest investment for your retirement, but they’re undoubtedly a good investment when it comes to spending quality time with your grandma, who probably still can’t understand what you see in those bizarre Funko Pops.